Best wishes for a lovely day! 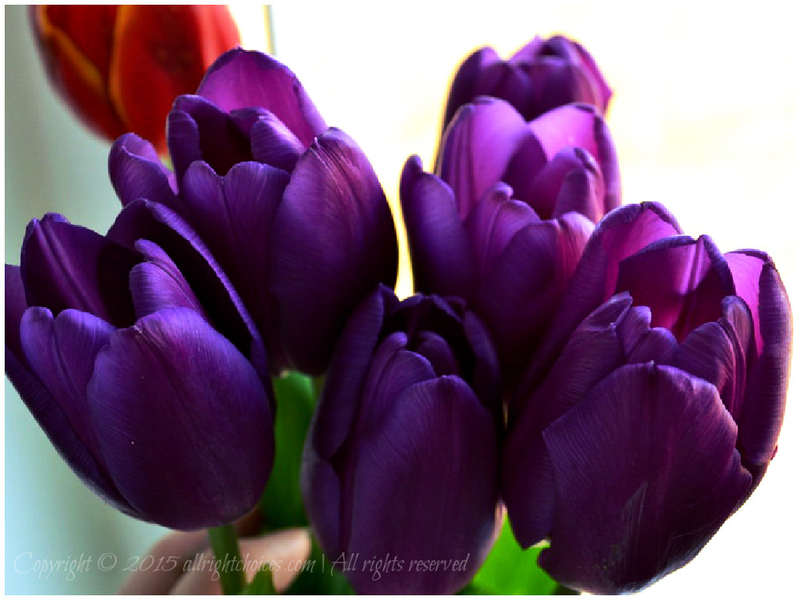 This entry was posted in Photography and tagged overdose, purple, spring, spring flowers, tulips by Lucy. Bookmark the permalink. Beautiful! ❤ It's my first time to see purple tulips! Thank you so much, Takami! Wow, never seen any before? Well, then I’m happy to know you enjoyed them 🙂 They are absolutely gorgeous. Definitely some of my favorite flowers ❤ Have a lovely day! I loved them so much I shared them on my facebook page. Thanks Lucy! My pleasure 🙂 Thank you for the share! Almost spring!! 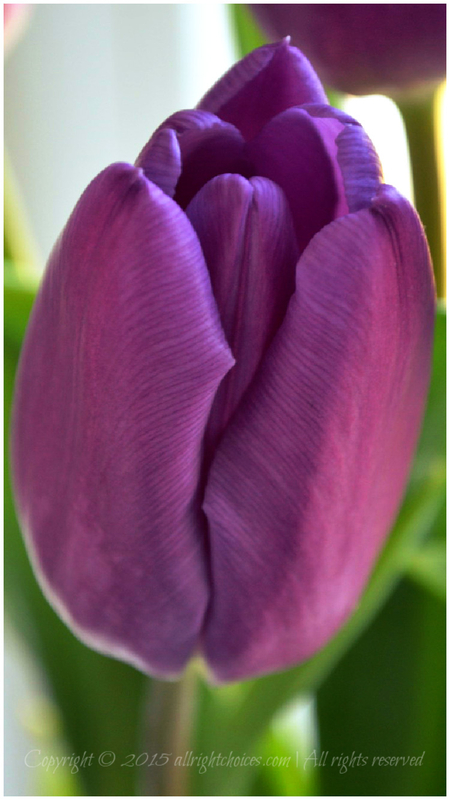 🙂 Beautiful tulips photos Lucy – your post made impatience to have spring soon 😀 😀 Have a lovely day to you too!! 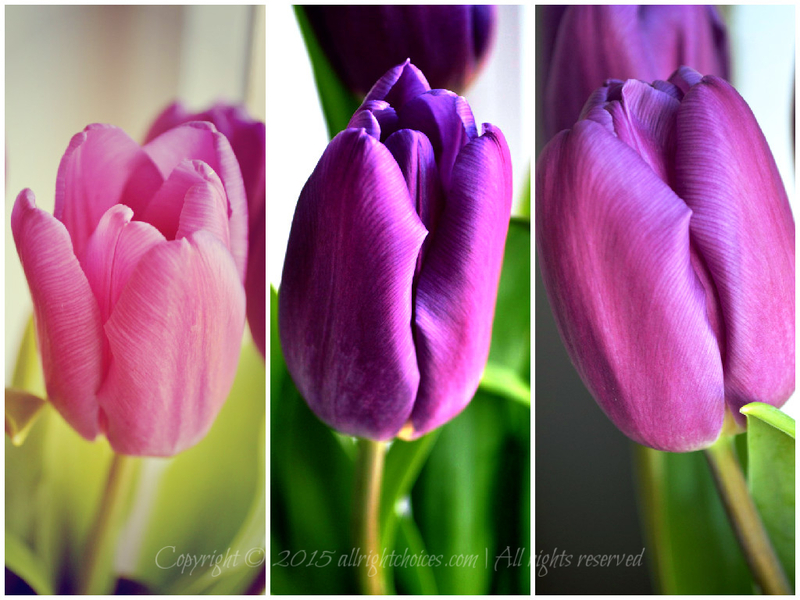 It’s never too much when it comes to tulips 😉 I like these flowers, they are really delicate. Some people say it represents the “the briefness of life”. But even in its decay, I find it interesting ! Thank you so much! I just saw the notification. I’ve decided a few days ago to start the Facebook page of the blog as well, as I have some readers who don’t use WordPress. Is a good way to keep them informed 🙂 I think adding pictures on Facebook until you get back, is a great idea. I’ve installed on my tablet the WordPress app, and it seems okeish to use. I didn’t post anything from it though. I can’t wait to see more of your adventures. Hugs! Indeed, it’s easier for most people to use Facebook than any other online community. I actually watched a video yesterday about this. It looks like people using Facebook and Twitter, don’t really want to leave those pages, to look at something else, so not much traffic comes from such social networks. Very interesting, but a good promoting tool, for those actually interested in your content. I think I just need to give myself some time I get impatient too easily! Haha, same here 😀 But sometimes, you have to keep at it! I know patience is a virtue! I knew you will love them ❤ Thanks for stopping by!